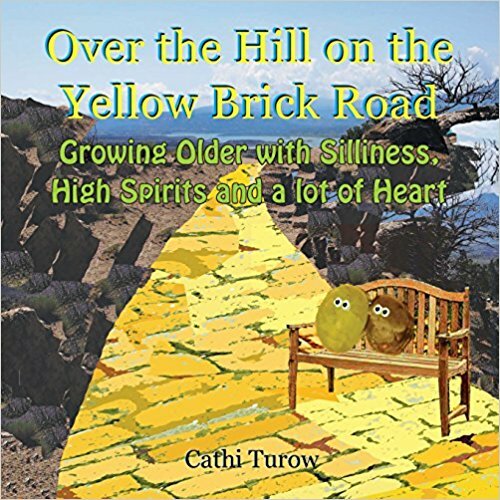 Over the Hill on the Yellow Brick Road, a blogging award started following me. I wondered what it wanted. Excuse me, Sunshine Blogging Award, can I help you? BLOG AWARD: Actually, I can help YOU. RudyMariee from the blog: http://www.visionsandgiggles.com/ has nominated you for the Sunshine Blogger Award. Omg! That’s so flattering and such an honor! Especially coming from RudyMariee. She’s an amazing writer. Every one of her posts is so genuine. She writes from her heart, is funny, and I always relate to the way she looks at life and her family. So, I’ll take the award. BLOG AWARD: Hold your horses. You haven’t won yet. First you have to do a few things. BLOG AWARD: Start by linking your blog back to http://www.visionsandgiggles.com Actually, I just did that for you. Thanks. Now I’ll take my award. BLOG AWARD: Nope. Now you need to answer eleven questions about yourself that RudyMariee created below. In five years, I hope to reside permanently Over the Hill on the Yellow Brick Road. If you could change one thing about the current world, what would it be? Revise gun control laws in the United States. Follow your heart. You’ll reach those who will “get you” and they will follow you. What is the most interesting or most unusual thing about you? I wrote for Sesame Street for twenty years, so I spent a lot of time with the Cookie Monster and the Snuffleupagus. What would be your idea of a perfect day? Being left alone. I’m really a cat disguised as human. What are you planning to do differently in 2018 in regards to your blog? In April, I have a book coming out which is based on my blog. It’s called, “Over the Hill on the Yellow Brick Road.” It has a story that I might incorporate into my posts. Have you found anything particularly difficult about your blogging journey? Making enough time to read all the amazing blogs I follow. Biographies and autobiographies about artists. If you could be anyone for 24 hours, who would it be? Albert Brooks. He makes me laugh the hardest. Fine. I’ll take my award now. BLOG AWARD: Nope. Now you have to nominate eleven new bloggers. Are you kidding me? That’s almost impossible. I read so many different kinds of blogs written by so many different, talented people. I cherish the exchanges I have with each and every one of them. How can I possibly choose eleven? BLOG AWARD: Just do it, or you won’t get your award. Okay, how about this? I read blogs written by people who express themselves through words, art, photographs, humor, food, poetry, fashion, spirituality, health and pets. I’ll nominate one or two bloggers from each category, and they’ll represent all the awesome blogs I read on all those topics. BLOG AWARD: Works for me. Now can I have my award? Thank you and link back to your blog. Answer eleven new questions you will ask them below. Nominate eleven new bloggers and write them eleven new questions. List the rules and display the Sunshine Blogger Logo. From where do you draw inspiration for your blog? What’s the title of your favorite post and why do you like it best? If you could have a second home anywhere in the world or universe, where would it be? Who is your favorite fairy tale character? If you could be a flower or a tree, what kind would you be? Where do you go if you want to have a quiet, spiritual moment? If you could live one part of your life over again, what part would it be? What’s an adventure in your life you’d still like to have? NOW? Now can I please have my award?